You are invited to the table! We provide the dinner, you provide the conversation. 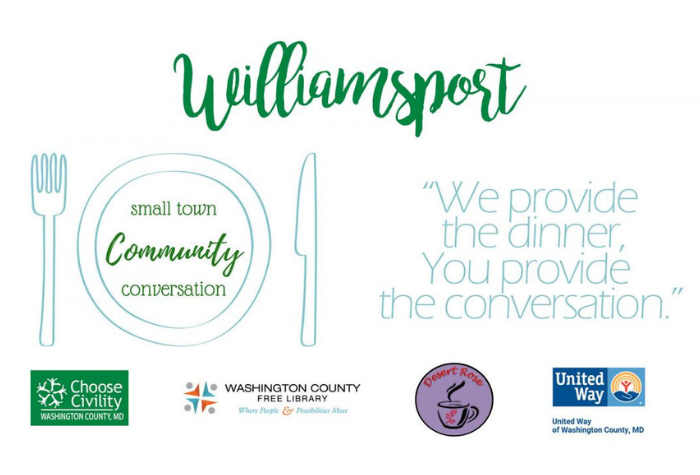 This event is meant to foster dialogue and friendships between Williamsport area residents. All attendees much RSVP here or call 301-678-5300. Space is limited to 50 attendees. A light lunch will be provided. Plans have been made to offer additional events in Boonsboro and Hagerstown in May and late summer of 2019. More details to follow on each individual event.